Despite hearing about the explosion in Parwan Province the day before, our minds were set to travel to the Panjshir Valley. To get to the valley of the Five Lions (apt transliteration from the Persian “panjshir”, پنجشیر), Parwan was a mandatory step and it did look a bit shaky, but once past that, we were good. The Panjshir Valley, after all, has always been the only place Taliban never managed to set foot in, not even during the five years they were controlling the whole country from 1996 to 2001. 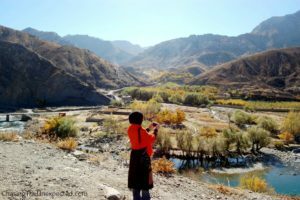 My husband, Hamed, convinced me that it was going to be safe to travel from Kabul to the Panjshir Valley through Parwan and Kapisa provinces as long as I, as usual, dressed fully local. So the next day Hamed’s friend Rafiq picked us up at dawn with his white Toyota Corolla, possibly the most popular car in Afghanistan, and our journey began. Native from Panjshir, Rafiq, coming from a private security background just like Hamed, knew where to take us. Before entering the Panjshir Valley you have to go through a meticulous checkpoint where soldiers inquire about who you are and why you are visiting: the province is friendly and so conservative that unmarried couples are as unwelcome as Taliban. Almost. 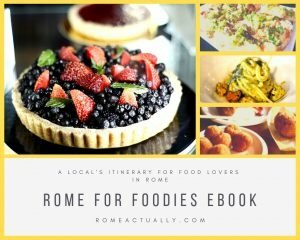 “There are only two restaurants at the beginning of the valley,” said Rafiq right after the security check. “We think it’s not good hospitality manners if visitors have to pay to eat.” I wondered how they deal during the tourist season when the province teems with visitors but I decided to keep it for myself as I doubt I would have understood the explanation. Truth is, as soon as we entered the house of Rafiq’s uncle, a sofre (the tablecloth they lay out on the floor to eat) was immediately arranged and filled with dried mulberries, walnuts, fresh bread and homemade yogurt. For as delicious as this was, the purpose of our trip was another one. 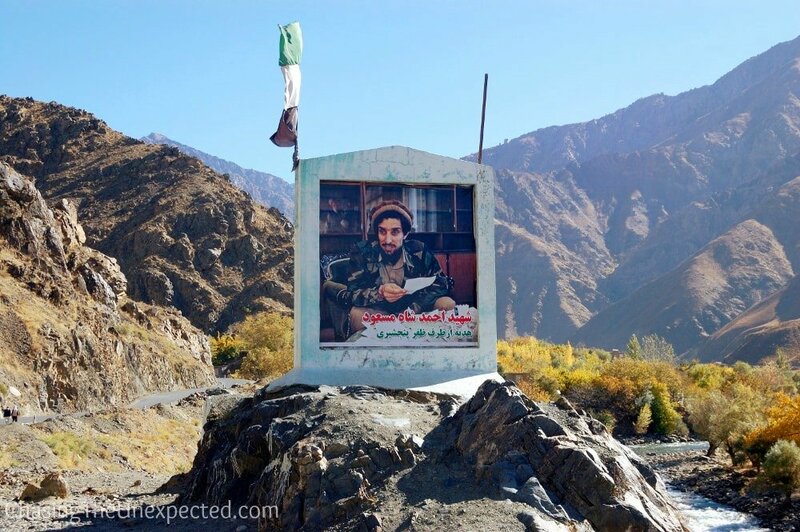 You can’t travel through the Panjshir Valley without feeling the ubiquitous presence of Commander Ahmad Shah Massoud, the Tajik leader who fought against any foreign power that invaded Afghanistan. He was a harsh opponent of the Taliban regime but he also rejected the help of the US forces to get rid of the terrorist group who was controlling the country. On September 9th, 2001 he was killed in a suicide attack carried out by two fake Tunisian journalists who hid the bomb inside the camera they had brought to interview him. Two days later, the attacks on the Twin Towers in New York took place and a new era started. Ahmad Shah Massoud is considered the first victim of Al Qaeda-led terrorism. The attack that killed him was the first suicide bomber type, and after, it became a common practice in Afghanistan. From the very entrance to the Panjshir Valley, we followed in the footsteps of Ahmad Shah Massoud. His image is a steady presence in the landscape of Panjshir. His leadership changed the destiny of the whole province, the imprint he left is one of safety and his fellow citizens never forget that. Just like a paternal figure, his eyes and smile, pictured by his friend, the great Iranian photographer Reza Deghati, stand out from shop walls, houses, and roadside billboards. High on the valley stands majestic the mausoleum they erected for Massoud. His bodyguards never left his side and still guard him. As Rafiq is the brother of one of his bodyguards, we were received like family members and invited to have lunch with them. We couldn’t stay because it would have slowed down our pace too much, but having lunch with Massoud’s bodyguards is definitely something I would love to tick off my bucket list. 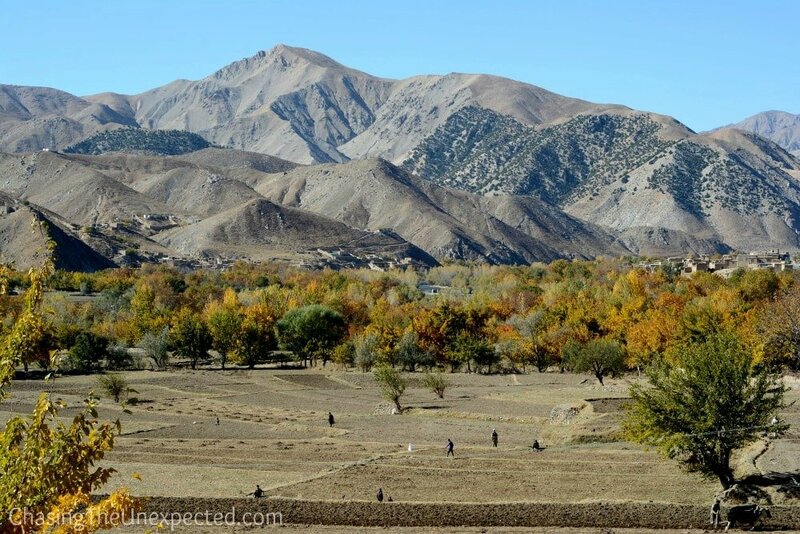 After leaving the bodyguards and their commander, we resumed our journey around the beautiful valley framed by the imposing slopes of the Hindu Kush mountain range. Driving all day we reached as close as 60 kilometers from the gorgeous Badakhshan Province that although we couldn’t manage to visit this time, it’s very high on our list. Better so if the Afghan government will manage to eradicate the presence of ISIS and Taliban terrorist groups that are currently controlling some areas. As Afghanistan boasts the second highest peak of the Hindu Kush mountain range, Noshaq standing 7492 mt high, on the border between Pakistan and Badakhshan Province, traveling surrounded by those mighty slopes does make you feel on top of the world. The water is cold and clean as it melts from the mountains all throughout the year, and the air breezy and chill enough. After a day in such a pure weather, you will feel as if you are smoking once back to Kabul’s thick pollution. The Panjshir Valley lies about three hours drive from Kabul City. If you can, avoid going on weekends as you can get stuck in traffic for about 5/7 hours on the way back. If you do go on the weekend, make sure you arrive in Kabul before 3 pm so you avoid the crowd of picnic-goers coming back home. In Panjshir, you can eat at one of the restaurants at the beginning of the province or buy some takeaway in Kabul. If you are a vegetarian, don’t expect to find the Ashak veggie dumplings as in the valley goat meat is the specialty. If you are not willing to cheat on your vegetarian diet, I suggest you bring some stuffed boolani from Kabul. In the valley, do try some fresh or dried berries, Shomali green raisins and fresh yogurt, they are truly delicious. Very likely you will be taking a lot of pictures in Panjshir, but restrain from capturing women. Locals are very friendly with visitors but also very conservative and women don’t want to be photographed. Likewise, if you come across groups of men on their horses climbing up the slopes, don’t take their picture without permission. They are usually the men who go deep into the high peaks of the mountains to find the emeralds, precious stones the Panjshir Valley is famous for. 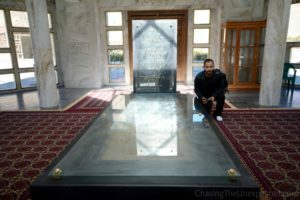 If you are planning to go and visit this historical city and don’t speak Farsi, it’s better you hire a guide/interpreter to both show you around and translate for you. We can introduce you to a good guide who speaks good English, lives in Kabul and Panjshir and knows the city and the highway from Kabul to Panjshir very well. He would be your guide for as little as 20-30 USD per day. If you are interested contact us and we’ll give you his number. He also had a vehicle to take you to Panjshir, it will cost you 120-150$ for the both his fee and car rent, its a full day journey. panjshir is best travel destination there are any monuments for visit thanks for share.. Thanks Angela, for great article about my lovely hometown. Yes,Panjshir is one of the most scenic and beautiful regions in Afghanistan and arguably the world. 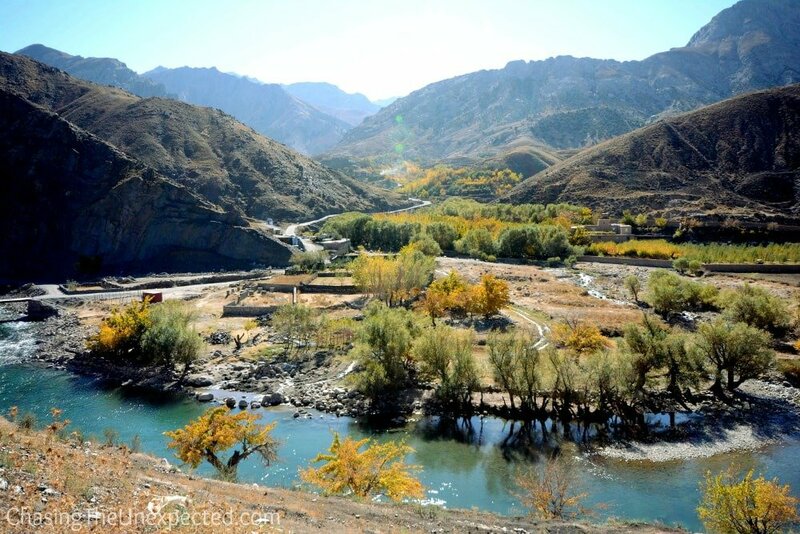 Panjshir along with Banyan and Band-e-Amir are probably some of the regions that made Afghanistan extremely popular for tourists in 1970s prior to a series of wars and turbulence in the decades after. It arguably the most secure region in Afghanistan too with security checks/registrations needed to enter and exit the province. Because of it’s terrain it was a region that neither the bloody Russians red army or the black terrorism of Pakistani Taliban ever conquered. There are some old Soviet tanks and other armour scattered around. The views a breath-taking whether it be from up high or down in the valley beside the Panjshir River. The River is great for a swim in all seasons except winter. But you need to be cautious of the current in certain parts which can be strong. Beside the river is great spots for a picnic or rest. There’s a nice restaurant in Bazarak town centre with pleasant views. They serve nice kebab meals. 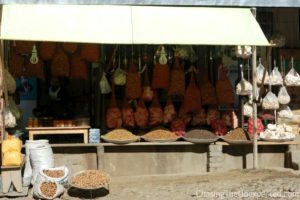 But to buy some of the popular local fish from the region and ask if they could cook and serve that up also possible , which they did with the kebabs Kabuli palaw. May God reward him heavens for ever. Great Massoud tvision and thoughts will never died. This was a delightful piece. Thank you a ton for writing about your journey to the valley. You brought to life my first memory of visiting this famous valley that became the bedrock of reistence against extremism. Thank you Ray. We enjoyed the trip and it sure is one of the most beautiful places we visited in Afghanistan. Thank you for sharing about a place many of us only hear negative things about, or can only imagine traveling through. It seems like a wonderful region with a lot to offer visitors, and I can only hope the Afghani people get the peace and stability they deserve in the coming years.